Any other information that you have provided to us as a result of any communication, dealing, transaction or negotiation with us. La Casa Del Formaggio collects personal information from a wide variety of sources including this Web Site, during customer queries, as part of our recruitment process, to provide you with products and services, in relation to competitions, during telephone calls and directly from customers, distributors and suppliers. We may, with your consent, also collect personal information so we can provide you with direct marketing information which may be of interest to you. We will not disclose that information to others unless you have consented, or are required to disclose by law. We will give you the opportunity not to receive marketing information on occasions of when we send this material to you. We continue to be bound by the SPAM Act 2003 (Commonwealth) and the Do Not Call Register Act 2006 (Commonwealth) when we undertake direct marketing and we comply with the provisions of these acts. However, La Casa Del Formaggio may also use information for any other purpose for which the information was collected and for purposes related to that purpose. La Casa Del Formaggio recognises that some of the information you choose to supply may be personal information. La Casa Del Formaggio will not sell or disclose your personal information to a third party except where as agreed by you, where required to fulfil our obligations to you, or where the disclosure is otherwise consistent with the law. Personal information may be shared between groups. We will not disclose your personal information to any persons located overseas. La Casa Del Formaggio’s web servers (and our feedback forms on the web) gather your IP address to help diagnose problems with our service, to administer our Web Site, and to gather broad user information (for example, which areas of our Web Site are visited most frequently, or broad location such as state location of our users). Such user information is gathered in aggregate only and cannot be traced to an individual user. A cookie is a small data file. La Casa Del Formaggio does not use permanent cookies that are stored on your hard drive after you have visited our Web Site. However, we do use temporary cookies which are only stored on your hard drive for the duration of a single browser session. These temporary cookies allow our servers to keep a record of where users have visited on our Web Site. Users who do not want to receive cookies can configure their web browsers to refuse them, however doing so may prevent some part of our Web Site from working. Users may choose to supply La Casa Del Formaggio with information either via email links from this Web Site, or by completing and submitting one or more of the forms which are available on this Web Site. La Casa Del Formaggio does not require users to register in order to use this Web Site. However, we may ask you to provide certain personal information to enable you to participate in particular activities, such as entering a competition online, using our online stakeholder services or to enable us to respond to any queries you may make through this Web Site. In such cases we may pass on your personal information to third parties engaged by us to provide such services, but with strict instruction to only use your information for the purpose in which it was collected. La Casa Del Formaggio maintains several social media sites. It will under no circumstances allow people to post or access information on its social media platforms that is threatening, abusive, embarrassing or compromises the privacy of our team. La Casa Del Formaggio reserves the right to take down or remove comments, photos, or other material that is not consistent with this policy. 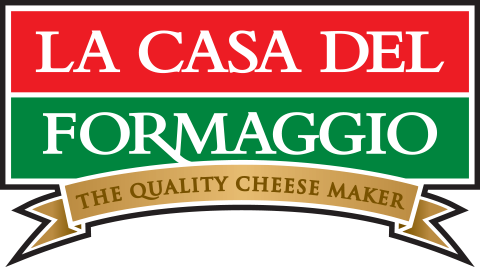 Customer Service – La Casa Del Formaggio will use the personal information you provide during Calls to assist in answering your query or addressing your complaint. This may include using information you provide to contact you following the Call in response to your query or complaint. Quality – If your query or complaint relates to the quality of products or services provided by a La Casa Del Formaggio stockist or distributor then the personal information may be used to address that issue with the stockist or distributor in question. Generally, it will not be necessary to identify you when the complaint is raised with the stockist and distributor. If it is necessary, we will seek your consent first. Training – La Casa Del Formaggio may use the recording of the telephone conversation for internal training purposes. Verification – If you have a complaint in relation to the quality of La Casa Del Formaggio products then La Casa Del Formaggio may retain the recording of the telephone conversation for verification purposes. La Casa Del Formaggio may also disclose the recording to third parties, including its professional advisors, in order to address the complaint or any action taken in relation to the complaint. Documents will be destroyed through a shredder, or placed in a secured bin for collection by an approved document management organization when in hard copy form. If collected electronically, files containing confidential information shall be erased. The company has strict internal computer access policies and procedures that require the staff to follow the Australia Privacy Principles. Including, when advised, staff must suitably and efficiently destroy personal information. La Casa Del Formaggio recognises that you may wish to access or update personal information that La Casa Del Formaggio holds about you. La Casa Del Formaggio will provide access to that information in accordance with the Act. You may access, correct or update your personal information by contacting us either by post (35 Sunbeam Road, Glynde, SA 5070 Australia) or by electronic means (http://lacasa.com.au/contact/). La Casa Del Formaggio will respond to that request within a reasonable period after the request is made, and will not impose any charges for the request. You will need to establish your identity and right to this information prior to being granted access. You should be aware that La Casa Del Formaggio may refuse to correct your personal information if it does not agree that the information is incorrect, incomplete or inaccurate. Providing access is in breach of the Act. If La Casa Del Formaggio does not agree to amend your personal information then we will add a note to the personal information stating that you disagree with it. La Casa Del Formaggio will take reasonable steps to protect personal information we collect from you from misuse, loss or unauthorised access, modification or disclosure. Where personal information is stored (either electronically or by other means), information will be designated as “confidential” and access shall be restricted by lockable storage or password protection. The Privacy Act requires that you make your complaint to La Casa Del Formaggio in writing and that we are given a reasonable amount of time to respond to you (usually 30 days). If you are unsatisfied by the response that you receive, you may make your complaint to the Commonwealth Privacy Commissioner.